Camping is one of the most amazing experiences you can have with your kids. You get a chance to bond when setting up the tent, playing games, and even preparing meals for everyone. When it comes to cooking while outdoors, meals should be uncomplicated yet still delicious, which is why as much as possible, I cook fresh meals for my family whenever we go out camping together. One of the easiest camping meals you can make that your kids will definitely enjoy making with you are skewers or meals on sticks. 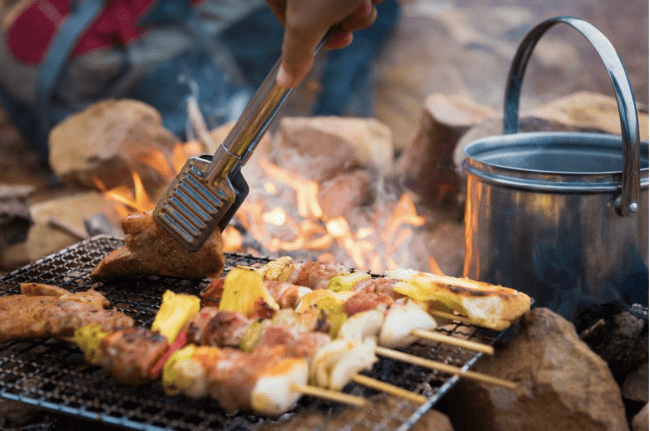 What’s great about skewers is that you won’t need anything else other than your ingredients, sticks/skewers, and a campfire – it’s camping meals at its most simple. My personal favorite thing about it is that you won’t have to wash as many utensils, plates, pots, pans, and other usual camper must haves – which is a win in itself, don’t you think? Instead of spending time cleaning up, you get to spend more time relaxing in the outdoors and enjoying time with your family. When selecting skewers, you only have to pick between two kinds – metal or wooden skewers. Each has it’s own pros and cons and your selection will depend on what you personally prefer or need. Metal skewers are reusable, will last a long time (if not for life), and they are available in a variety of different sizes. However, they are generally more expensive than wooden skewers. Wooden skewers, on the other hand, are more conventional and you can burn them in the fire when you’re done eating. They are a lot cheaper although you can only use them once. This is a good option if you don’t want to pack out more than you brought in the campsite. Just note that if you are going to use wooden skewers, soak them in water first for at least 30 minutes so that they don’t catch fire on the grill. Don’t skip this step – it’s important! I suggest you get metal skewers if you plan on making meals with them often. If it’s just a one-time thing where you want to test it out first, you can go with wooden skewers instead. I’ve listed four meals on a skewer that are easy enough to do with the kids. Some of these require a tiny bit of preparation beforehand but you can do it while you’re at home before leaving for your campsite. Just remember that if you’re going to have your kids help you out, watch them and guide them carefully especially when handling the skewers, which are very pointed and sharp. Other than that, making these meals should be a blast! Making vegetable skewers is a great way to get your kids eating their vegetables because they are more likely to eat it if they’re the ones who prepared it and roasted it over a campfire. You can add any other vegetables you enjoy and get creative with it. You can try romaine lettuce, squash, Brussels sprouts, tomato, eggplant, and so on. Or better yet, ask your kids what vegetables they want to grill so you’re guaranteed that they’ll eat it. Chop your chosen veggies into bite sized squares. You can marinate all the veggies together in a bowl with simple olive oil, salt, and pepper. If you want your veggies to have a bit of a kick, add some chili powder. If you want them to taste refreshing, you can add freshly squeezed lime/lemon juice. It’s fun to do this right before grilling so you can have the kids chop and marinate with you. Just remember to keep a close eye on them and guide them carefully as to avoid any accidents while chopping. You can use frozen shrimps because they’re usually already peeled, deveined, and ready to go. You can use any type of sausage you like, but my sons’ favorites are Andouille sausages, which are quite spicy. You can also replace the sausages with steak if you prefer. Marinate the shrimps for about 30 minutes in Cajun seasoning with a squeeze of lemon juice. While the shrimps are marinating, have your kids cut up the sausages into bite sizes (about 1 inch thick). Slide in the shrimps and sausages alternately on the skewer and then grill it till it’s ready to go. You can squeeze more lemon over the skewers for a fresher pop. If you want to make dipping sauce, you can mix your Cajun seasoning with mayonnaise or cream. This Cajun Surf and Turf skewer is best served with a side of grilled sweet corn! These skewers are great for the summer because it tastes absolutely refreshing! Not to mention your kids will probably enjoy snacking on some pineapples while they make this. Again, you can substitute the sausages with any other meat. I just find sausages the most convenient and easy to bring along – not to mention kids love them! Chop the pineapples into squares and mix in a pinch of salt and some chili powder (optional). Mix it evenly and set it aside. Chop up the sausages into bite sizes (about 1 inch thick). Start by sliding in the bacon onto the skewer. Do it from the top of the bacon, leaving the rest hanging to the side for now. Slide in the sausage and then take the bacon and slide it in, sort of wrapping the sausage. Next, slide in the pineapple and do the same thing with the bacon again. You’ll end up with a type of bacon, sausage, pineapple weave. There’s no way you’re going to make skewers with your kids without making s’mores. This is probably what they’ve been waiting to make ever since you mentioned roasting stuff over the fire. You can buy edible cookie dough from the grocery store or make some from scratch if you know how. You can add in some peanut butter to the mixture for those of you who love peanut butter. Have your kids crush up the graham crackers and mix it into the cookie dough. Then let them roll up the cookie dough with graham crackers into small balls. When they’re done, alternate the cookie dough and marshmallow. Cook it over the fire for about 10 – 30 seconds or until the marshmallows are golden brown. Remember the old s’mores trick where you keep it far from the fire and rotate it constantly so the marshmallows don’t burn. Drizzle the skewer with chocolate syrup or dip it completely, it’s up to you! Want more skewer recipes? Get another 15 Food in a Stick Recipes. I believe that cooking with your kids is a great way for you to bond them – even more so when you’re outdoors and cooking over a simple campfire. It’s a great skill for them to learn and it will be a lot of fun for them, especially when it comes time to sliding the ingredients on the stick! 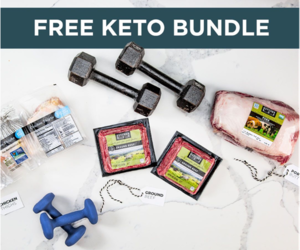 You can have fun with all of these recipes and change the ingredients around or try out different substitutes. It’s a great chance for you to let your kids get creative with the cooking. Rita is the founder of Dating With Nature, where she writes about her outdoor experiences – both good and bad, as well as tips and ideas she’s learned along the way and wants to share. Dating With Nature has all kinds of articles and information about everything to do with camping, hiking, and being outdoors. She is also a wife and mother of two boys; balancing her passion for being outdoors and her family, who she considers are her biggest joys in life.